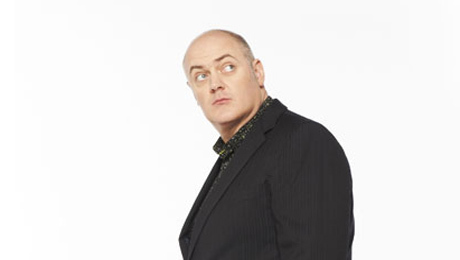 Three years have passed since Dara O’Briain’s last stand-up tour, Craic Dealer, and he asks what has changed in the meantime. Certainly what hasn’t changed is his amazingly quick wit, his awareness of what’s going on around him, his memory for details about comments or events during the show that he will bounce back at us at a later stage, his ability to talk quickly (boy can he do that!) and his extraordinary rapport with his audience. 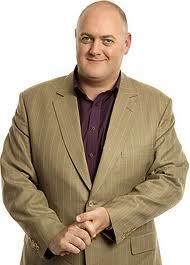 From the moment Mr O’Briain walks on stage he demands your attention, but in a very convivial and unassuming way. He’s an awfully big chap, both tall and broad but with a strangely gangly appearance that you would normally expect from someone much slighter. He’s like a child trapped in a civil servant’s body, and when he gets animated his limbs go all over the place. He gives a high energy, top quality performance for two and a quarter hours plus, and you more than feel you got your money’s worth. 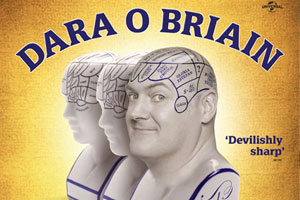 If you’re in or near the front row of a Dara O’Briain show, you’re definitely going to be part of the action. At last night’s show we had people who lied about where they came from (Irchester, never been there, is it that bad?) and what they did for a living (cultural critic for the Wellingborough Evening Telegraph – honestly, who’d pretend to be a theatre reviewer? ); a photobooth repair man, his wife who’d never been allowed on board ship, and a 16 year old who’d had an MRI on his knee and ear, for whom Mr O’B had wise words of advice much to the poor lad’s hideous embarrassment in front of his family. There’s also a sequence where four people in the front row are asked for random elements to make up the treatment for a new detective show – so we had the delightful prospect of a hang-glider who murders his victims in the washing machine but the case is solved by a horse whisperer with Tourette’s. Other memorable moments from last night include the extravagant words in a child’s ABC book, how child abduction is all the rage on TV, a hand-to-the-mouth embarrassing story of his wife meeting a famous playwright, and a visual representation of his “dancing above the gay line” during a recording of Jools Holland’s Hootenanny. But I particularly loved his sentimental account of how they built the Channel Tunnel, which even has its own hashtag, #poorchuggy. 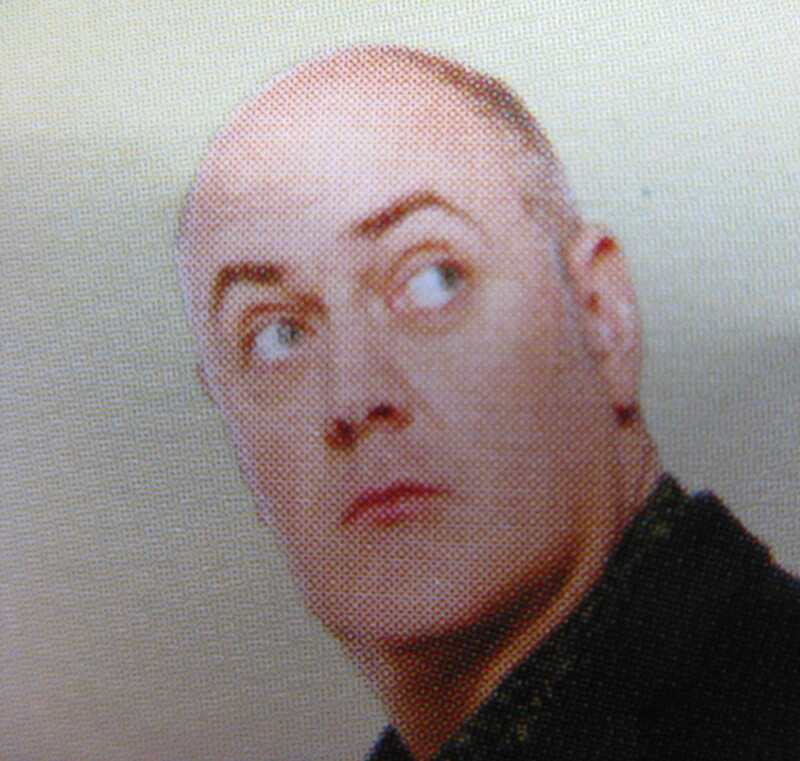 If you like your stand-up, Dara O’Briain is one of the few absolutely must-sees whenever he tours. Apparently effortless (I bet it’s not), a master communicator, he comes across as a genuinely nice guy with the occasional sting in the tail. Can’t recommend him too highly. His tour continues to November in all parts of the UK and Ireland. Book now! 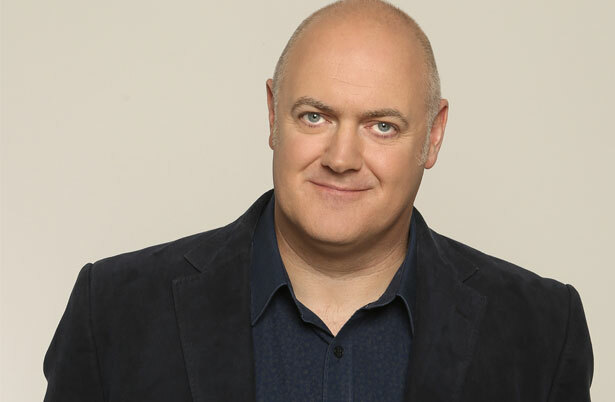 We’ve seen Dara O’Briain on TV a few times, doing a little bit of stand-up, but primarily presenting “The Apprentice – You’re Fired”, where he has a very wholesome blend of gentle teasing and intelligent badinage. We’d not seen him live before though. My guess was that as a stand-up he would be very quick of brain and strong of material. And I was right. What I wasn’t aware was that, as a big man, he can command a large and rather soulless venue like the stage of the Butterworth Hall at the Warwick Arts Centre and treat it as though it were as intimate as his living room. Wednesday night’s gig was part of his Craic Dealer tour, and I think he sold out all three nights within a very short time. With no support act, and the show lasting for two and a quarter hours, including a twenty minute interval, he needs no props, apart from a gift bag of crisps that he shares out at the end of the show to the people who contributed the most. 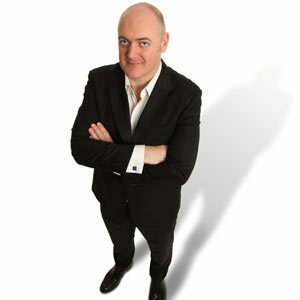 He’s very funny, as you would expect, and I like his straightforward way of telling a story – no need for stylistic embellishments, he lets his material do the talking – and as it’s very good material, it works. For someone who is such a good talker, he must also be a really good listener too; as the information he gleans from the punters at the front whom he interrogates in the first half, constantly comes back as references in the second half, when you’re really not expecting them; and not just repetitiously – he sneaks references in when you think he’s going in a completely different direction. Very creatively done. Amongst last night’s subjects were how to most terrify a burglar in your home, the level of expertise of current Irish construction workers, how not to take a photo when someone gives you their camera and how the singer Plan B might have got his name. I think he has something of the Frankie Howerd to his style – not Howerd’s camp mannerisms or his oohs and aahs, but in his way of addressing the audience as a whole in a confidential way, making them feel they’re the only one he’s talking to – and also by rounding on the audience when they vocally disapprove of any his dodgier topics. But what you come away with is a distinct impression of someone with a fairly massive brain (not big headed though), an amazing way of dealing with people and a provider of top quality comic material in a fast and fluid way. A really enjoyable night out!